I bought a roast chicken from the takeaway food counter at one of our local supermarkets on last Saturday and conveniently forgotten about it until yesterday. It’s not the first time and I’m sure it wouldn’t be the last either. Many ingredients are left only to be rediscovered later. Some have been tugged away in some dark corner for so long that awaits excavation! After sitting in the fridge for 3 days, the roast chicken had already gone passed its prime. Thankfully it was very well sealed in a bag all this while and the chicken stayed still rather succulent. The best way to use it? Tonnes of ways to go about that… eat with Chinese egg noodles alongside a home concocted sauce, shredding the meat and enjoy it with Chinese porridge any style be it Teochew or Cantonese, or simply chunk and toss into a salad. I happen to have a bag of tortillas which I bought with some friends when we went to Mustafa last Friday. 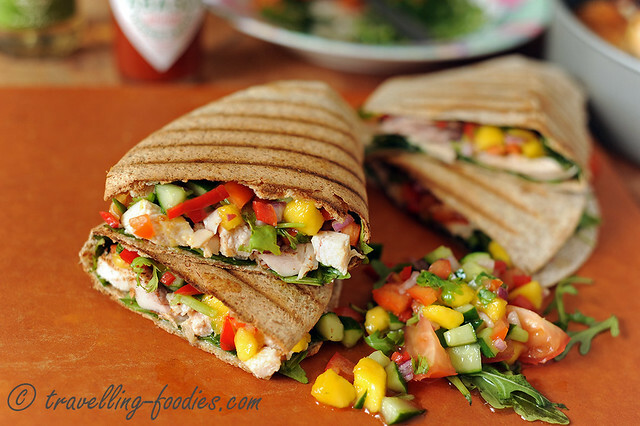 Roast Chicken in a Tortilla Wrap sounds real good, especially when it comes with a homemade Mango Salsa! Summer is definitely in full swing now with the heat. 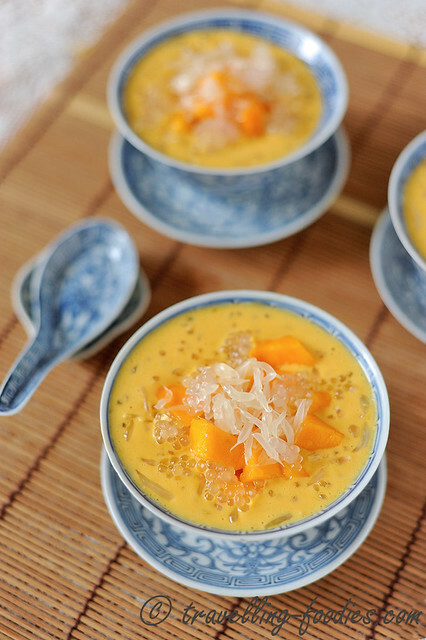 Nothing better to beat the heat wave with a refreshing and cooling dessert. 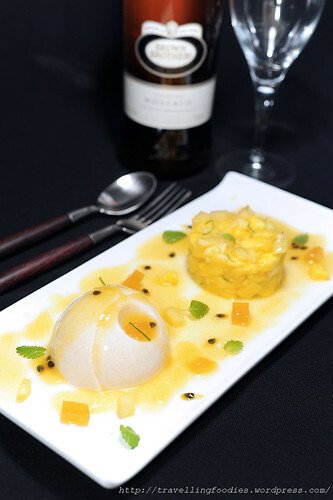 Couple of years back, I’d made renowned Japanese patissier Hidemi Sugino’s “Tartlette au Mangue at Fruit de la Passion” which he named “Tahiti タヒチ” and the flavours remain vivid in my mind. 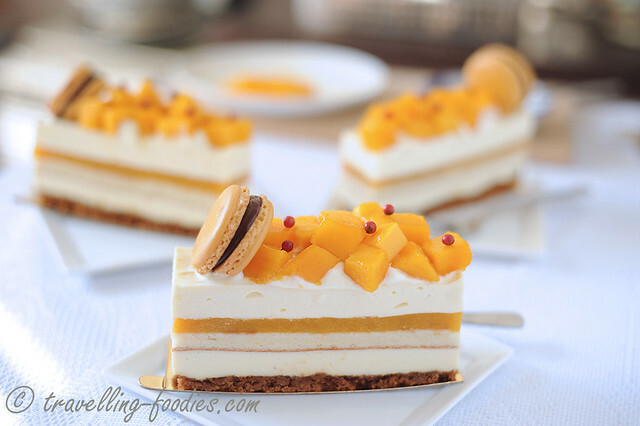 Mango and passionfruit are a match made in heaven afterall. 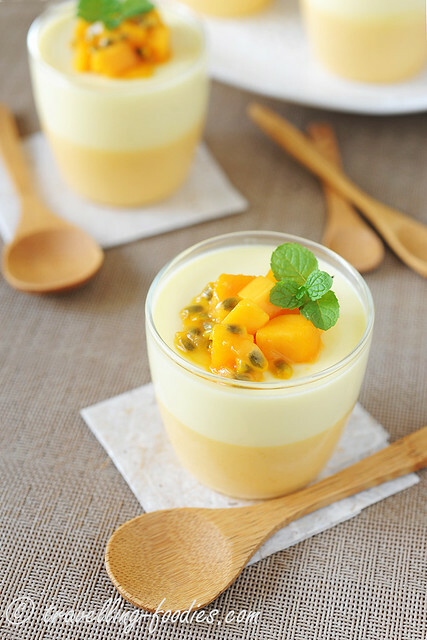 It inspired me to create a chilled dessert which marries these two delicious tropical fruits, my Mango and Passionfruit Yoghurt Pudding. It is mango season again and we see an assortment of mangoes from all over. From the honey and rainbow mangoes from Thailand, to the Benishaan and Alphonsoes from India, each visit to the local supermarket often involves getting hit by heavily perfumed wafts of heady aroma they exude. Each variety has its own distinct fragrance, devised by its own unique concoction of volatile chemicals which contribute to a sometimes intoxicating brew making them distinguishable from one another. However, many cultivars nowadays are grown for certain attributes like being less fibrous and longer shelf life in place of others like flavour and aroma! As a result some varieties like the Tommy Atkins which do not taste and smell very much are still in cultivation and widely sold, though hardly anyone buys them as far as I know! 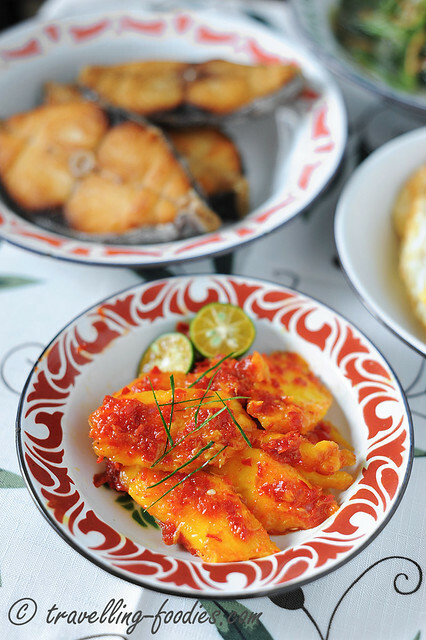 As far as I’m concerned, I still prefer very much my Harumanis, buah binjai and buah kuini when they are in season! 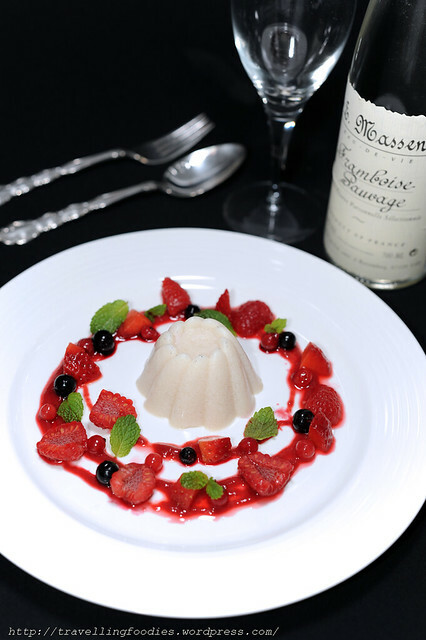 Like ルージュ Rouge, this is a plated dessert which I’d created in conjunction of EAT AND MAKE TAU HUAY DAY. Rouge was concocted out of my love for fruits aux rouges. I love berries of all sorts, wholeheartedly worshipping the intricacies that could be teased out of these little parcels bursting with flavour! El Tropicano is inspired by the fruits de la saison we were enjoying at that moment in time. The use of mango and passionfruit together with lemon balm mint is heavily inspired by Hidemi Sugino’s tartelette “Tahiti タヒチ” which I’d made a year back and fell in love ever since. But of course, there were Ai Wen Mangoes then! likewise, I’d used lemon balm for the outburst of refreshing citrusy aroma. Added additional dimension of using pineapple since we had some S&W Sweet 16 pineapples from the Phillippines! It would be really lovely to add a coconuty twist in it but everything was made in a rush, pieced together on a last minute basis. So pina colada would have to wait until another time! MAKE AND EAT TAU HUAY DAY! Diner en Blanc‘s first appearance in Asia ended with a blast, owing to the much reported local-food-bloggers-uninvited-and-local-food-disallowed saga. The whole fiasco went completely viral and took a life of its own to bring about much talk, as well as publicity on it over the last week or so. Extensive coverage all over social media through Facebook, as well as various high profile blogs like Mr Brown and ieatishootipost. There was a lot of discussion over Diner en Blanc’s initial reaction to local delights like tau huay and soon kueh, rousing much sentiments, mostly deeming the event as snotty, poncy and pretentious. It went all high drama when the PR company in-charge of the event went on to “disengage themselves” just barely before the day of the event itself, citing a “misalignment of perspectives” with the local organisers. Some bloggers decided to play devil’s advocate and questioned the blogger in question‘s share of responsibility leading to the whole social media fiasco. On the whole, it received a lot of media coverage, IMO a lot more than what it should and normally would, both locally and abroad, with “no-so-honorable mentions” from WSJ and AFP. The whole saga was meant to be called to a halt with a coverage on ieatishootipost’s lunch interview with DeB’s founders as well as an official statement addressed “Dear Singapore” on DeB Singapore’s website. Well that was after its facebook page was taken down amidst the outpour of criticisms and mobbing by local netizens. So has the saga really ended? Meanwhile, the DnB fiasco also sparked off several other events which were “coincidentally” scheduled on 30 Aug 2012, when Diner en Blanc was slated to commence in a “secret location” which turned out to the ArtScience Museum at Marina Bay Sands. Who would have guessed… Anyway, spin offs like SuperWhite, Makan Day took place alongside Diner en Blanc, and so did our MAKE AND EAT TAU HUAY DAY!